Reprint. Originally published: 2012. Board book. 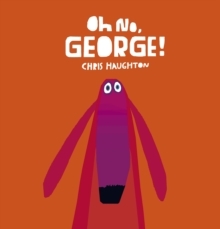 It's hard work being good all the time - and it's especially hard for a dog like George!A board book edition of the hilarious read-aloud romp by the multiple award-winning author-illustrator of A Bit Lost and Shh! We Have a Plan, this is the story of George the dog.